NEW DELHI: Being one of the biggest clubs in the land, the expectations always run high whenever Mohun Bagan start their I-League campaigns. Despite the strength displayed by the Green and Maroons, however, three seasons have now passed without Mohun Bagan winning the Indian top tier. 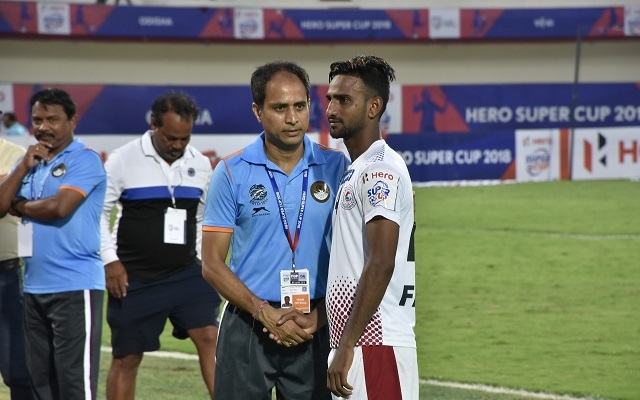 While the much-revered Sanjoy Sen held the hot seat till the start of the previous season, it is his former apprentice Sankarlal Chakraborty, who is now in control of the reins from the start of the season, after taking over mid-campaign last time around. The new gaffer, who has already been with the team for four years now, has already weaved his magic, clinching the Calcutta Football League (CFL) title, which had been elusive for eight years now. How have the preparations for the I-League been going on, especially keeping your CFL victory in mind? We started training for the I-League last Friday and I have more or less all the lads here. A couple of guys are yet to join us, but other than that, we have everyone here. The CFL win has given the lads a lot of belief in themselves. It’s a big tournament for all Kolkata clubs and we all want to do well in it. But there’s a big difference between the Calcutta Football League and the I-League. How much does playing in a tournament like the Calcutta Football League help your team prepare for the I-League? We (the Kolkata clubs) actually benefit a lot from the CFL. While other clubs are still in pre-season mode, we play in a competitive league where we can test the waters with some of our promising youngsters. When these lads get to play more matches in the CFL, it gives us a good opportunity to test them. We are always on the lookout for youngsters who we can field in the I-League. But the I-League is definitely the tougher of the two. The varying conditions in which the guys have to play, pose a lot of difficulties for them. In CFL, you just play at home. In the I-League, some of the away matches can turn out to be really difficult – especially the ones that are played at high altitude. Again, sometimes you also have to play in the heat of places like Chennai. To add to that, the I-League is way more competitive, so we have to improve much more than what we were during the CFL. A lot of rumours about Sony Norde re-joining the club have been doing the rounds. How much would his presence help, if he does sign ahead of the I-League? Sony is one of the most popular foreign players among the Mohun Bagan faithful. Although it is not yet clear whether he will be with us this season, we all know that Sony has become Sony after playing in Mohun Bagan. He’s a great team man, his style of play brings a lot of flair into the team, and of course, the fans love him. The club elections are coming up. How do you think this could affect your team? All the players understand how things work at the club. Our work is on the pitch and on the training grounds. All we (the players and coaches) want to do, is to train hard, prepare ourselves for the upcoming season, and win as many matches as we can, once the I-League starts. What happens at the administrative level of the club is not our concern and out of our control. Today, in the age of the social media, everyone is voicing their opinion publicly and you cannot really bubble-wrap anything. However, we are trying to put our heads down and go forth quietly with our jobs. What is your aim for the club this season? The main aim for us is to win the league, but we want to take it one match at a time. First of all, we need to take care that all the players stay fit throughout the season. Only then, can we go forward with our objectives of winning matches and ultimately the league.